I’d like to dedicate the following post to my sweet firstborn son, Ansen who just turned 5 on the 21st! In honor of his birthday I made his favorite, favorite meal: spaghetti. But as any mom knows, multitasking is key and I wasn’t about to just make plain ‘ol spaghetti when I had the opportunity to turn this celebration into a blog post. So I made it with Pancetta, our ingredient of the month! 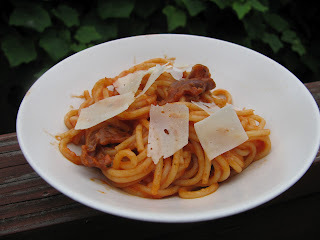 I decided to make spin-off carbonarra recipe. Take out the egg, but add red sauce. There are seriously only 5 ingredients in this recipe so there is no excuse why you should not be making it (as long as you can find pancetta). 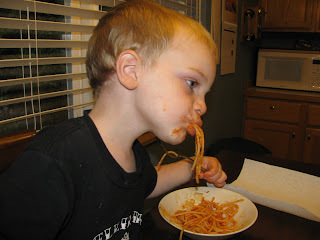 Plus, everyone loved it so much the boys didn’t even wait for us to cut up their spaghetti and just started slurping it down as fast as they could. I love meals like that. They barely ever happen. 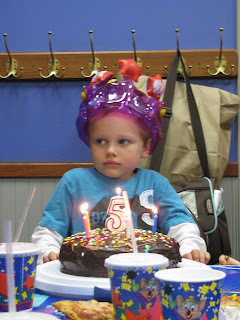 The following day we had Ansen’s birthday party at Chuck E. Cheese and it was a truly horrifying experience. I know, you all warned me. And you were right. But the day will never come when he can call me a bad mom for never having taken him to Chuck E. Cheese. So at least there’s that. This is parenting. Slice pancetta into strips or pieces and crisp in a deep sided pan. Boil spaghetti according to package directions. Add spaghetti sauce to cooked pancetta and heat. Reserve one cup of hot pasta water. 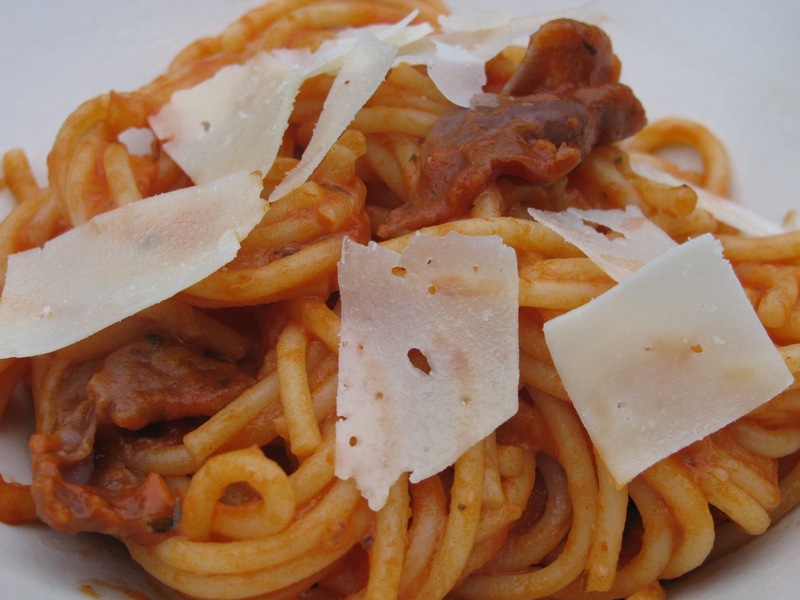 Drain spaghetti and transfer the hot noodles into the pancetta sauce immediately and drizzle with olive oil. Mix. Add parmigaiano regiano cheese and slowly add reserved pasta water until desired saucy consistency is reached. Serve with a sprinkle of cheese—the kind we like. Not the Chuck E. kind. That is bad. Very bad. Wait! You can't eat it yet. Mommy needs to take your bowl outside and take a picture of it. This is totally normal. Everyone does this. Can't quite put your finger on what that expression is? As his mother I can tell you. This is Ansen's expression of complete trepidation. Over to the right there is this crazy looking Mouse Mascot dancing all around and he keeps trying to high-five me. I have one foot on the floor and an eye on the door. You win mother of the year award! 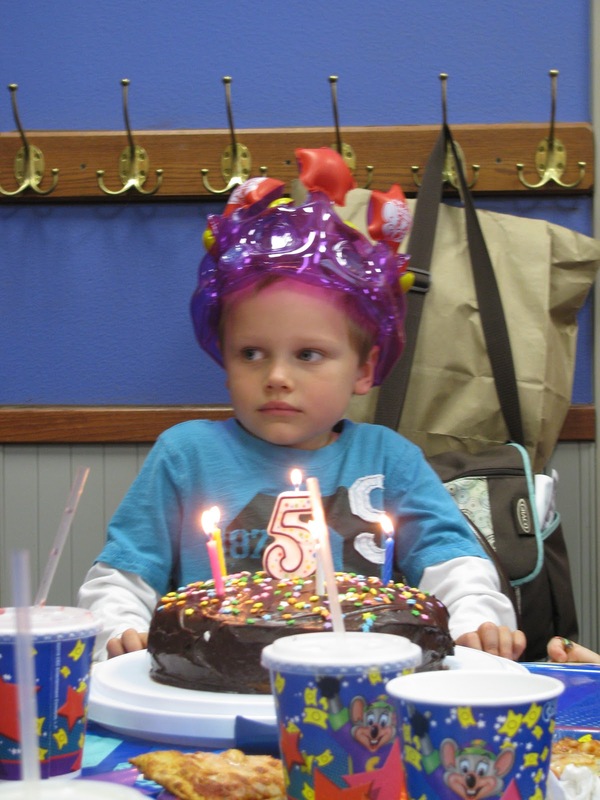 And by the look on Ansen's face, maybe he won't want to have a birthday party there ever again. Happy Birthday to your sweet boy! I can't believe he's five and when did he turn so blonde? Oh and this spaghetti looks amazing. 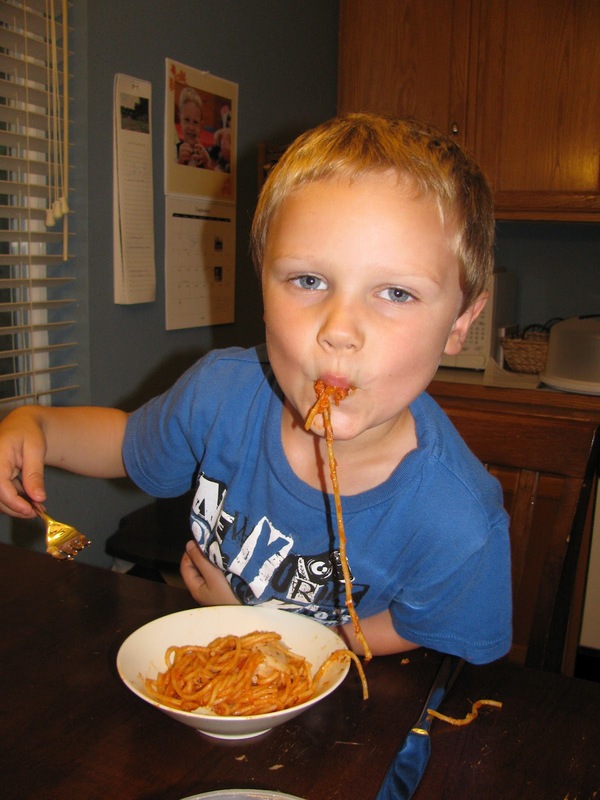 I'm seriously craving spaghetti now! Yeah I noticed all the blonde too! We buz cut his hair in the begining of the summer and what was left of it got pretty bleached by the sun. It's cute, isn't it? Uh yeah, the cutest! I bet the girls are already chasing him! And gorgeous eyes too. You're in trouble, Amber. I laughed out loud at your description of Ansen's face -- too funny! You're right, he can never hold that over your head, because you braved, not only going to Chuck E's, but HOSTING a PARTY at Chuck's. Wow. This dinner looks awesome and comforting and kid-friendly. I'm ALL over it. I want to slurp a big mouthful just like those boys. Thanks Amber! I freaking loved this post! I feel for poor Ansen. Just keep these pics to show him. I also admire you for hosting at Chuck E Cheese, I mean you are a brave, brave soul.